If you’re serious about your health, maintaining balanced blood sugar should be a top priority. Blood sugar, otherwise known as glucose, is the primary type of sugar in your blood. Blood sugar is sourced from the foods we eat. It is one of only two ways in which our bodies produce energy. Blood sugar plays such a vital role in the functioning of your body. So, maintaining a balanced blood glucose is critical to maintaining your health in general. In the short term, blood sugar spikes can lead to weight gain and other adverse effects. In the long term, chronically elevated blood glucose can cause serious problems, the most notable of which is diabetes. Studies indicate that diabetes is a national pandemic in the United States. Experts estimate that over 14 percent of the population suffers from diabetes. More than one-third of the entire U.S. population is suspected of having pre-diabetes. Even if you don’t fall within one of these groups, it’s in your best interests to avoid high blood sugar wherever you can. Considering food is the primary source of blood sugar in our bodies, thinking about what we eat can dramatically lower our risk of elevated blood sugar. One of the best ways to keep your blood sugar within a healthy range is to avoid foods which cause blood sugar spikes. Stick to those which have a low glycemic index. Don’t overload your digestive system with a sudden burst of glucose or fructose. Here are 17 foods which impact blood sugar — the right way. Cinnamon is a well-respected spice in the diabetic world, due to it’s ability to significantly and repeatedly lower blood sugar levels. It lowers your risk of developing diabetes in two ways. First, it acts as a natural non-sugar sweetener, meaning you’re less likely to add sugar to foods if they contain cinnamon. 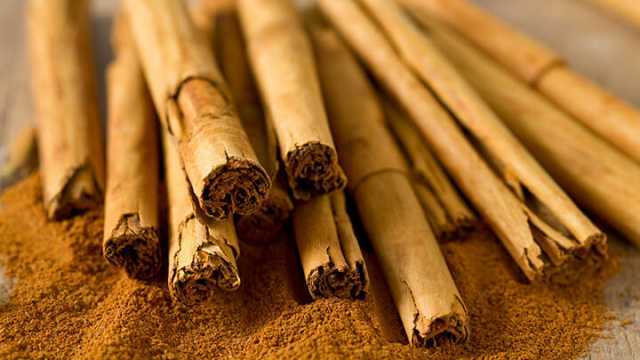 Second, cinnamon actively lowers blood glucose levels in the body. Another 2006 study found that water-soluble cinnamon extract can “reduce risk factors associated with diabetes and cardiovascular diseases.” Yet another 2010 study reported significant reductions in blood pressure, fasting plasma glucose, waist circumference and body mass index following 12 weeks of daily cinnamon supplementation. You get the picture. When it comes to lowering blood sugar, cinnamon is your friend. Make sure you don’t go overboard on the cinnamon, though. Too much can become dangerous. Apples can lower your risk of elevated blood sugar, diabetes and heart disease. 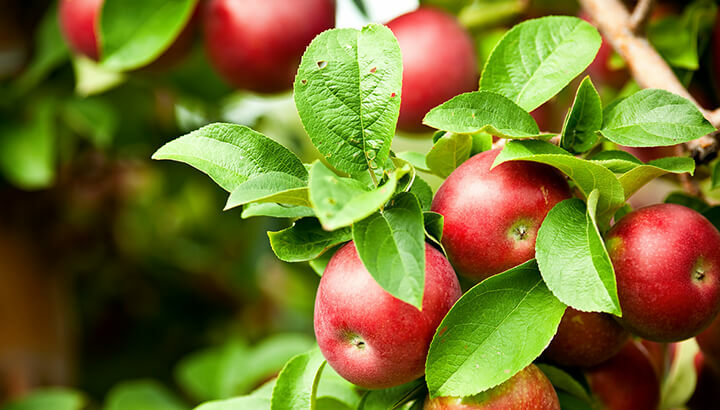 Researchers believe the blood sugar-lowering effect of apples is due to their high concentrations of quercetin. And you know what tastes absolutely amazing? Sliced apple with cinnamon sprinkled on top! How’s that for a serious blood sugar-lowering snack! You know how your grandparents are always eating sardines and other stinky fish? They’re probably onto something. The high omega-3 fatty acid content in cold-water fish like salmon, sardines and mackerel can help to lower LDL cholesterol and triglycerides. This, in turn, can help to balance your blood sugar levels. Just make sure they’re wild-caught to get the best bang for your buck. While dark leafy greens like spinach, kale and chard may not actively lower your blood sugar, they certainly don’t elevate it either. And not only that, these vegetables are amazingly nutritious, providing a wide range of essential vitamins, minerals and phytonutrients. Their low calorie count and high nutrient content mean you can eat almost as much as you want of these nutritional powerhouses! Garlic has been extensively studied for its many health-giving abilities. Research is starting to suggest that it may even show promise for lowering blood sugar. A 2005 study which administered garlic orally to diabetic rats recorded significant decreases in blood glucose. Not only that, researchers found that garlic can lower total cholesterol, triglycerides, urea, uric acid, and increase insulin levels in the diabetic rats. All very good things when it comes to your health. 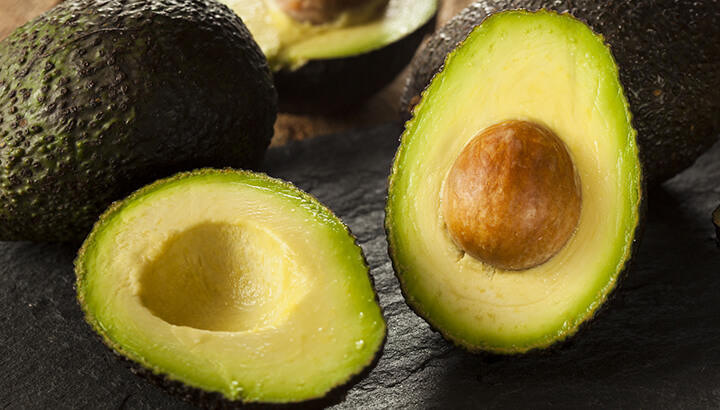 Researchers have found that the monounsaturated fatty acids (MUFAs) found in avocados are an important way to manage diabetes and symptoms of pre-diabetes. A 2013 study published in the Journal of Critical Reviews in Food Science and Nutrition found that Hass avocados (the most common variety found in supermarkets) helped to support cardiovascular health. Researchers showed that avocados promoted healthy lipid profiles (including blood sugar and triglycerides) and enhanced the bioavailability of soluble vitamins and antioxidants in the food we eat. It’s fair to say that you need more avocado in your life. The vast array of vital vitamins and nutrients in blueberries also contribute to their anti-diabetic and blood sugar-lowering effect. A 2005 study noted that “anthocyanins inhibit alpha-glucosidase activity and can reduce blood glucose levels after starch-rich meals, a proven clinical therapy for controlling type II diabetes.” Because blueberries are rich in anthocyanins and other bioactive polyphenols, more blueberries means lower blood glucose. Many people who suffer from diabetes or pre-diabetes are deficient in vitamin C. Not only is this antioxidant critical for healthy immune function, it also plays a role in maintaining low blood sugar. A 2007 study published in the Indian Journal of Medical Research found that daily supplementation with vitamin C was beneficial in lowering blood glucose and lipids in patients with type 2 diabetes. And one of the highest natural sources of vitamin C are oranges, which also happen to taste delicious! Legumes such as chickpeas, kidney beans and lentils are a great source of nutrients and are typically very high in protein. Not only that, they’re also loaded with fiber, which helps to slow down the release of glucose into your bloodstream. Meals containing legumes can lower your risk of blood sugar spikes, which can otherwise increase your chance of developing diabetes. If you weren’t already aware of the health benefits of green tea, here’s another reason why you should make it a regular part of your healthy diet. Researchers have found that green tea is loaded with flavonoids, a group of natural compounds that dramatically lower inflammation. And because chronic inflammation can increase your risk of heart attack and stop the body from maintaining balanced blood sugar levels, less inflammation is definitely a good thing. This is one you’ll be happy to hear about! 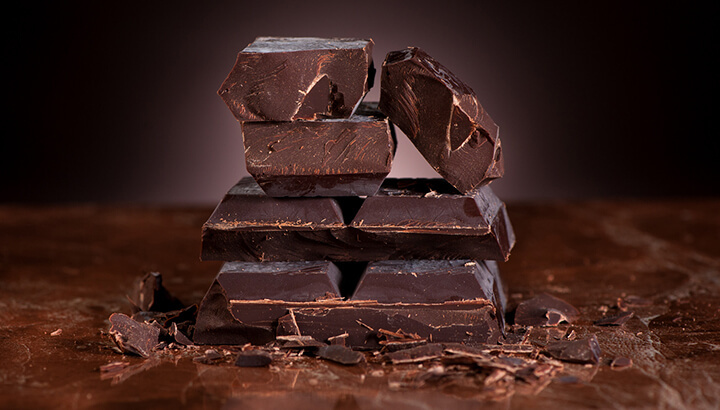 Multiple studies show that eating small amounts of dark chocolate helps to improve insulin sensitivity and lower blood pressure in healthy individuals. Rather than reaching for something sweet after dinner, consider chomping on a couple of pieces of dark (greater than 72 percent) chocolate. Like blueberries, cherries are an excellent source of anthocyanins. These potent antioxidants help to lower insulin resistance, which is an important precursor to developing diabetes. A 2013 study found that women who got plenty of cherries and other anthocyanin-rich foods in their diets had lower insulin resistance and lower levels of inflammation. Because insulin resistance prevents your body from regulating blood sugar as it should, cherries truly are one of the foods that impact blood sugar. Along with cinnamon, apple cider vinegar is one of my go-to foods when I eat a high-carb meal. Thats because the acetic acid found in apple cider vinegar reduces blood sugar spikes and increases insulin sensitivity. One study concluded that this significant blood glucose-dampening effect may be due to “delayed gastric emptying, resulting in a delay of the movement and/or the absorption of ethanol in the gastrointestinal tract.” Whatever the reason, vinegar really works. Many people enjoy a big juicy steak. But it turns out that there is a myriad of health benefits associated with tucking into a good cut of ribeye or scotch fillet. Beef, especially of the grass-fed variety, contains a type of beneficial fat called conjugated linoleic acid (CLA). Researchers have found that CLA works to correct impaired blood sugar metabolism and normalize insulin sensitivity. Not only that, the CLA found in beef and certain other healthy red meats can even exert anti-carcinogenic properties. Nuts are great for your cardiovascular health. Unless the manufacturer douses them in vegetable oils and covers them in unhealthy seasonings or refined salt. In any case, the high levels of protein, healthy unsaturated fats and fiber mean that nuts an important part of maintaining balanced blood sugar levels. Just be sure not to go overboard on the peanuts, people! Chia is quickly becoming a wildly popular health food in America, and for good reason. It contains high concentrations of heart-healthy omega-3s, along with a rich source of protein and fiber. 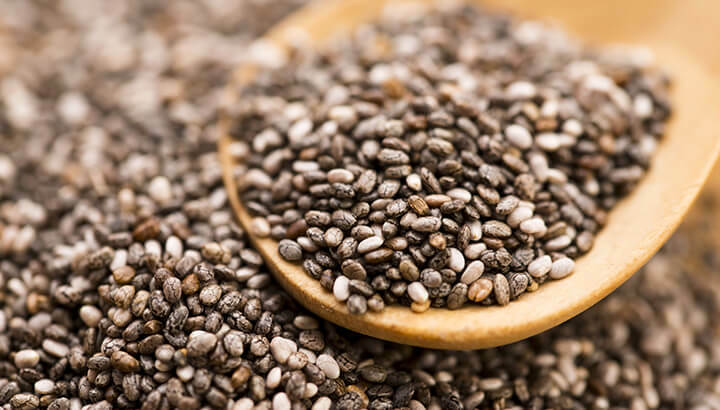 In particular, the high fiber and omega-3 fatty acid content of chia seeds make a big difference in lowering blood glucose and preventing blood sugar spikes. Remember, unless you’re going ketogenic, our bodies still need some glucose inputs in order to function properly. This is particularly important if you suffer from diabetes. If this is you, remember to get regular blood checkups with your doctor. Talk things through with them before you go on an all-out battle against foods which elevate blood sugar. What’s your favorite blood-sugar balancing food? Hey Buddy!, I found this information for you: "17 Foods That Positively Impact Blood Sugar". Here is the website link: https://www.thealternativedaily.com/best-foods-for-blood-sugar/. Thank you.